Meghan Markle has hit the ground running when it comes to royal duties. 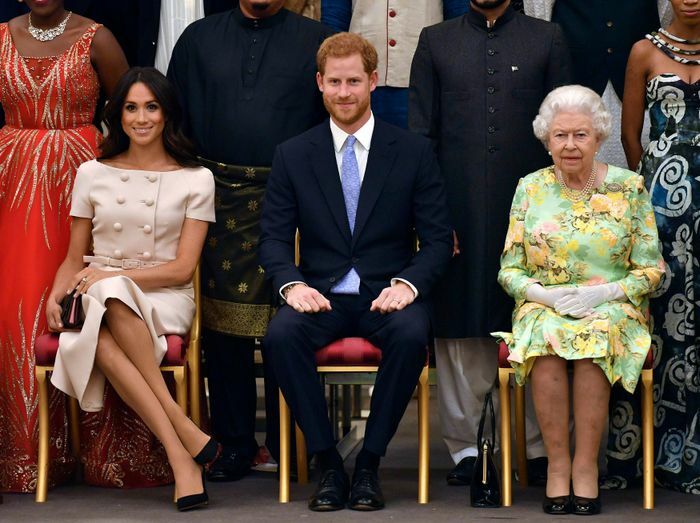 She attended her first event just three days after her wedding and has since taken part in some seriously high-profile occasions, including Trooping the Colour, Royal Ascot and a trip with Queen Elizabeth. Today the Duke and Duchess of Sussex attended the Queen's Young Leaders Awards at Buckingham Palace, and Markle looked impossibly chic. For the event, Markle wore a blush outfit by Prada with black Aquazzura shoes. Her look reminds us of Princess Diana's signature outfit: the skirt suit, which she wore on many different occasions. Scroll down to see Markle's brand-new look and revisit Princess Diana's best skirt suits. Next up, the most amazing payday shopping picks.